Pneumonia is a respiratory condition that causes inflammation in the lungs. Bacterial, viral, parasitical, and fungal infections, and the inhalation of toxic gases or chemicals are some of its common causes. Normally, the sacs in our lungs fill with air when we breathe. However, in pneumonia, they fill with fluid and pus making it difficult to breathe. It also becomes difficult for our vital organs to get the oxygen that they need to function properly. It means that pneumonia can affect many of the body’s systems. 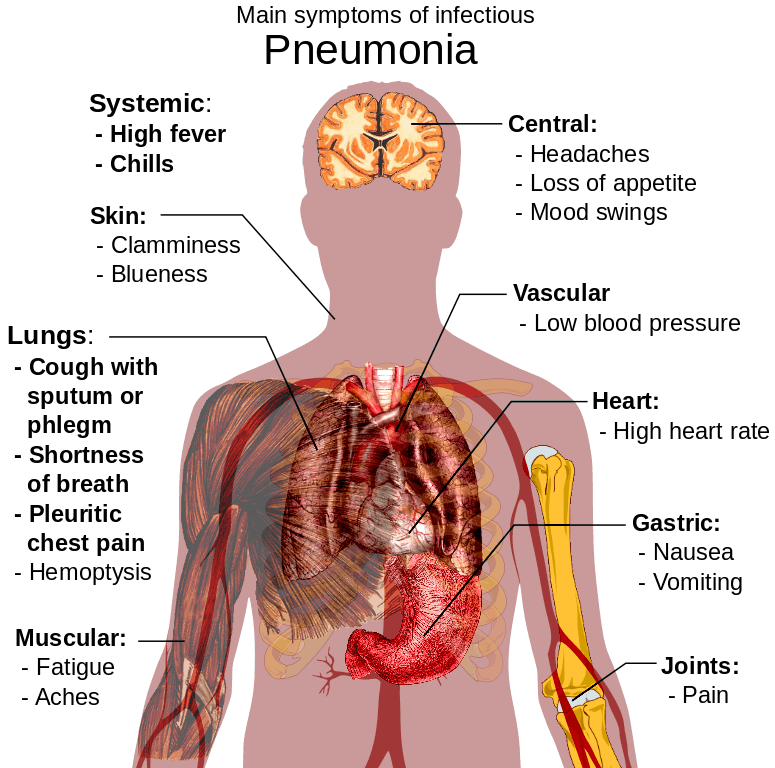 Symptoms of pneumonia include fever, cold, cough, shaking chills, shortness of breath, diarrhea, loss of appetite, sweating, headache, fatigue, vomiting and nausea, tiredness, chest pain, and muscle pain. Pneumonia usually lasts 2-3 weeks. However it can become chronic and even fatal for young children, people over 65, and others with weak immune systems. If you experience symptoms of pneumonia, see a doctor to get an accurate diagnosis and to determine the severity of your case. If it’s not severe, you may be able to avoid doctor and hospital bills by treating it at home. You’re about to learn several methods for treating the symptoms of pneumonia and strengthening the immune system to help fight it off. Are you wondering how to break up pneumonia? Rather than fighting this sickness for weeks, it’s better for your overall health to fight it quickly. These effective home remedies for pneumonia use simple, inexpensive ingredients you probably already have in your home, and they do not cause the unwanted side effects that come with commercial remedies. Let’s learn how to treat your pneumonia with simple solutions that you can brew up at home in minutes. One of these 21 remedies is sure to solve your problem. Tea tree oil and eucalyptus oils are antibacterial. And for that reason, they are able to help fight your sickness. They will help kill the germs that cause pneumonia. Eucalyptus oil also relieves congestion by breaking up mucus in the lungs. Boil water and stir in 5 drops of tea tree or eucalyptus oil. Pour the water into a bowl. Drape a towel over your head, lean over the bowl, and inhale the steam. Do this until Stopped getting oil fragrance. Now blow nose gently to clear the mucus which causes the problem. You can use other essential oils for pneumonia like lavender, lemon or camphor essential oil in the place of tea tree oil or eucalyptus oil. Mix 20 drops of tea tree or eucalyptus oil with 1 tablespoon of almond or coconut oil. Before bed, rub the mixture on the neck and chest. Note: Do not change quantities. Dip a cotton cloth in carrier oil or vegetable oil. Place it in oven at low temperature and warm the cloth. Pour 20 drops of tea tree or eucalyptus oil and rub cloth gently to spread evenly. Lie down and place the cloth on the chest. Leave it on 30 minutes. Garlic is one of the best home remedies for pneumonia in kids and adults both. It kills the bacteria, viruses, and parasites that cause pneumonia. It contains allicin which is anti – bacterial and anti – viral helps to strengthen the immune system to fight off the illness. It also reduces phlegm in the lungs. Eat garlic raw, use it to season your food, or follow the methods below. Crush a garlic clove with a press to extract 1 teaspoon of juice. Mix the juice with 1 teaspoon of lemon juice and 1 teaspoon of honey. Consume 1 teaspoon of this mixture to get relief from pneumonia and the pain. Have this 3 times daily. Crush garlic cloves to make a paste. Massage the paste into the chest for 5 minutes. It clears the respiratory tract. Use a blender to grind 10 garlic cloves into a thin paste. Add 10 drops of lavender oil and blend again. Massage this paste into the chest for 5 minutes. Allow it to absorb into the skin. Mix ½ teaspoon of garlic oil with 1 tablespoon of coconut oil or olive oil. Stir well and rub this into the feet. Mince 5 garlic cloves and ½ onions. In a bowl, mix the garlic and onion with 2 teaspoons of honey and 1 cup water. Eat this mixture before breakfast daily. Stir in 5 minced garlic cloves. Drape a towel over your head and lean over the steam. Breathe deeply until the water cools. Repeat daily to cleanse the respiratory. In a soup pot, mix 1 cup of milk, 4 cups of water, and ½ teaspoon of minced garlic. Heat these to boiling and let the mixture reduce to ¼ of its original volume. Drink 3 times daily to get relief from the pneumonia. Astragalus or Huang qi strengthens the immune system, relieves inflammation in the lungs and works as the best DIY pneumonia cure. Use it to season your cooking or follow the methods below. Consult a doctor before use. Add 1 cup of dried shredded astragalus root and 1 liter of water to a soup pot. In the morning, heat and let simmer 30 minutes. Pour this mixture in a container with ¼ cup alcohol or cloves and cinnamon to preserve it. Take 1-2 tablespoons a day to cure pneumonia. Fenugreek seeds reduce mucus in the lungs and promote perspiration, which reduces fever and detoxifies the body. Boil 2 cups of water and stir in 1 teaspoon of fenugreek seeds. Remove from heat a let steep 10 minutes. Strain and stir in 1 teaspoon of lemon juice. Add 1 teaspoon of fenugreek seeds, 1 minced garlic, 1 teaspoon minced ginger, 1 teaspoon honey, and a pinch of cayenne pepper to a cup of hot water. Drink 4 times a day. Brew a cup of black tea. Stir in 1 tablespoon of fenugreek seed powder and 2 teaspoons of honey. Stir well and drink daily. Echinacea kills bacteria and boosts the immune system to help fight off pneumonia, and it reduces mucus in the lungs. Boil water and stir in all ingredients except honey. Stir in honey and drink. Consume this tea 2-3 times a week, not every day. Mullein treats respiratory diseases and it has expectorant properties which loosens the phlegm to relieve chest congestion. It helps kill the viruses that cause pneumonia. Do not use mullein seeds as they are toxic. Pregnant women and those with liver and kidney illnesses should not use this remedy long term. Boil a cup of water and stir in 2 teaspoons mullein leaves and flowers. After 5 minutes, remove tea from heat and let steep 10 minutes. Drape a towel over your head, lean into the steam, and inhale. Or drink once a day. Place 1 cup of dried mullein flowers and leaves into a jar. Or cut and crush fresh mullein leaves and stalk pieces and fill the half jar with them. Pour boiling water over the herb and fill the jar with hot water. Stir well and close lid tightly and leave for overnight. Drink a cup of this mullein infusion to get rid of the problem. Drink 1 to 4 cups a day. Store the remaining in refrigerator. You can use this for 5 days. Note: You can add ½ cup of milk to ½ cup of mullein infusion and drink. Goldenseal strengthens the immune system, clears up mucus and congestion, and soothes irritated throat muscles. If you are pregnant, or if you’ve suffered from diabetes, heart disease, or stroke, consult a doctor before using this pneumonia treatment at home. Stir in 2 teaspoons of dried goldenseal root. Remove from heat and let it cool for room temperature. Cayenne pepper contains high amount of capsaicin it breaks up mucus in the lungs to relieve chest congestion. Beta carotene in cayenne pepper helps in the development of healthy mucus membranes. Stir a pinch of cayenne pepper and 1 teaspoon of lemon juice into a glass of water. Drink 3 times a day to cure pneumonia. Make or buy organic carrot juice. Add a pinch of cayenne pepper to a cup of juice. Pleurisy root contains resin and asclepiadin, which reduce inflammation of the lungs and promote perspiration, which detoxifies the body. pregnant, breast feeding women and people with heart problems avoid this remedy. Boil a cup of water and stir in 1 teaspoon of pleurisy root. Remove from heat and let steep 20 minutes. Drink 3 times a day to recover from pneumonia. Do not drink more often than recommended, as this can cause nausea and vomiting. This cough syrup will help to break up mucus in the lungs and relieve congestion. Place all ingredients in soup pot and bring to a boil. Reduce heat and simmer until it reaches half of its original quantity. Remove from heat and let it cool for few minutes. Consume 1 teaspoon for every 2 hours until you get relief. Store the remaining mixture in airtight container and keep it in refrigerator. Elecampane breaks up mucus to relieve lung congestion. It also gives relief from bronchitis, chronic chest congestion, tuberculosis and cough. Pregnant women should not use this remedy. Boil 1 cup of water and stir in 1 teaspoon of dried elecampane herb. Stir in 1 teaspoon of honey. Consume this mixture 3 times a day for 2 weeks. You will see results after 3 days. Coltsfoot relieves inflammation of the lungs and irritation in the throat, and it reduces mucus to relieve congestion. Do not give coltsfoot to children and do not use it in high concentrations. Boil a cup of water and stir in 1 teaspoon of dried coltsfoot leaves or flowers. Remove from heat and let steep 15 minutes. Do not use for more than 4 weeks in a year. Sesame seeds are a natural expectorant. They reduce phlegm and lung congestion. Boil 1 cup of water and stir in 1 tablespoon each of sesame and flax seeds. Strain, stir in 1 teaspoon of honey and a pinch of salt. Drink daily to get rid of pneumonia. Organic, fresh-made beet, cucumber, carrot, and parsnip juice boost the immune system, detoxify the body, and reduce mucus and lung congestion. These vegetable juices (including parsnip juice) are rich in chlorine and phosphorus which are good for lungs and bronchial system. Every day, drink them alone or mix them together to relieve the symptoms of pneumonia. Pour carrot juice and spinach juice in 2:3 ratios to make ½ liter. Or pour carrot juice, beetroot juice and cucumber juice in 3:1:1 ratio in a glass. Drink this juice on empty stomach to treat pneumonia. Or drink 1 cup of organic parsnip juice. Turmeric kills the bacteria that cause pneumonia and it clears away mucus to relieve lung congestion. Mix 1 teaspoon of turmeric powder and 1 teaspoon of warm mustard oil. Massage paste into chest for 5 minutes and leave for few minutes. Stir 1 teaspoon of turmeric powder into a glass of warm milk and drink. Stir ½ teaspoon of turmeric powder and ¼ teaspoon of black pepper into a glass of hot water. Basil and black pepper act as natural decongestants. Black pepper expels the mucus from the air sacs and dries up the fluids which cause pneumonia infection. Crush 5-7 basil leaves to extract juice. Mix with ½ teaspoon of ground black pepper. Consume every 6 hours to cure pneumonia. Boil 2 cups of water and stir in 5 fresh basil leaves. Remove from heat and ¼ teaspoon black pepper. Strain, stir in 1 teaspoon of honey, and drink. Drink twice a day for effective results. Boil 2 cups water and stir in ¼ teaspoon of black pepper. Turpentine oil eases breathing and relieves chest pain. Mix turpentine oil and camphor, massage them into the chest for 5 minutes. Then cover with a warm cotton cloth and leave on 60 minutes. Oregano Oil has antiviral, anti-bacterial and anti-fungal properties which thins mucus and kills the bacteria that cause pneumonia. Mix 2-3 drops of oregano into a glass of water or vegetable juice. For effective results drink thrice a day. Pour 2 drops of oil on cotton ball. Keep it beside pillow and inhale the fumes throughout the night. Continue the process nightly to get rid of pneumonia. Potassium is essential to recovery from pneumonia because it repairs damaged lung tissues. Add all ingredients to soup pot and bring to a boil. Reduce heat and simmer 20 minutes. Remove from heat and eat as soup, or strain and drink plain broth. People who have heart disease avoid this. Lemon juice has vitamin C, which boosts the immune system, and it is antibacterial, so it fights the bacteria that cause pneumonia. Add 1 tablespoon of fresh-squeezed lemon juice and a pinch of rock salt to a glass of water. Drink it daily to get relief from pneumonia. Mustard fights the bacteria that cause pneumonia, and it detoxifies the body. Mix 1 teaspoon of mustard powder and 1 teaspoon of white flour with the egg. Rub into chest and leave on 30 minutes. Get plenty of rest to boost the immunity. Eat plenty of vitamin A and C.
Wash your hands frequently before eating. Cover your mouth while sneezing or coughing. Take hot showers to reduce cold, cough and congestion..
Fry pumpkin leaf in olive oil. Let it cool and crush to make a paste. Apply it to the chest and massage for few minutes until you get relief from the pain. Extract juice from ginger and add a teaspoon of honey and lemon juice. Drink night time. Mix 1/4 teaspoon of baking soda in 300 ml of warm and drink twice a day. Eat plenty of protein and fresh fruits and vegetables to boost immune system. Cut down sugar caffeinated, carbonated and alcoholic drinks. Get vaccines and flu shots to prevent illness. We hope that this article on how to beat pneumonia naturally helped you. Have you tried any of these home remedies for relieving symptoms of pneumonia? Which ones worked best for you? Share your experience with us! Can a person take a bath after applying some of these remedies which is needed to apply on the skin? Yes, they can take bath after following any remedy. Thank you for all these natural recipes..What would you do to heal immunity ? What foods would you eat? Yogurt, garlic, turmeric, spinach, ginger, oats, barley, green tea or chamomile tea are some of the foods that you incorporate in your daily life to strengthen your immune system. my son was diagnosed with high risk pneumonia and he is just 2 years old. after hospital treatment, what vitamins is best for him so it wont happen again? Vitamin D, A, K and C foods should be included in his daily diet. Include protein and fresh fruits as well in his diet. It is difficult to choose one among them as the one which works for me may not work for you and vice versa. Choose any one as per your convenience and try it regularly. If you don’t see improvement in few weeks, stop that method and try a different one. Thanks so much. 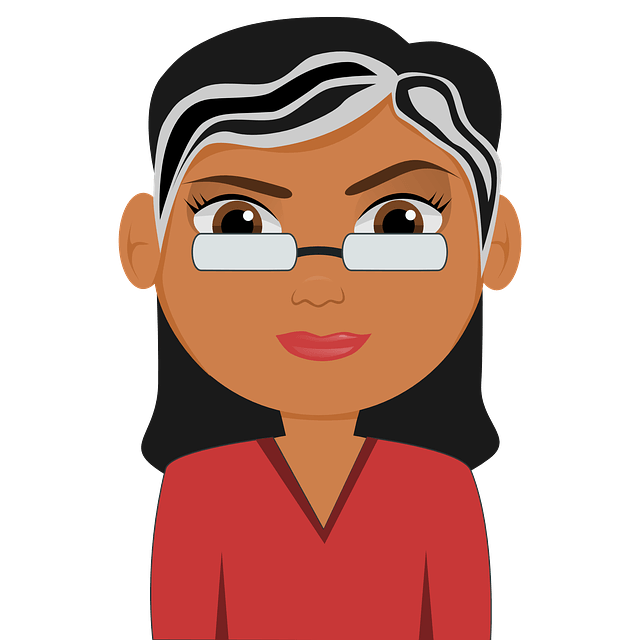 Your blog has helped me esp. the lemon,honey & garlic mixture. I never knew it was pneumonia until after i read it here. Yes, you can take turmeric supplements to treat pneumonia. But for the right dosage as per your medical conditions, it is better to consult a doctor. Would staying inside be best to heal pneumonia? Working 1st/graveyard weekly in an open garage at airport. The cold seems to aggravate my lungs. How long would one need to be inside? I was diagnosed with pneumonia. I work in a high school kitchen. Is it safe for me to be around food? Frying food at high temperatures produce fat aerosols which get dispersed into the kitchen air. This aerosols can irritate the airways and worsen the pneumonia. So, it is not safe for you to stay in the kitchen.